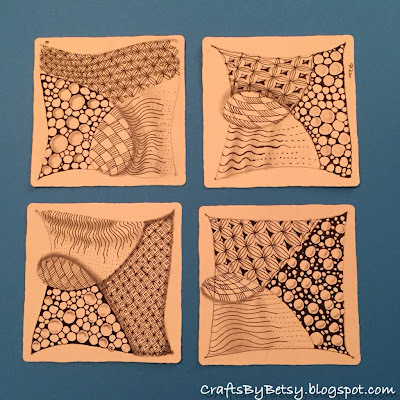 by Betsy: Mosaics from my first class! 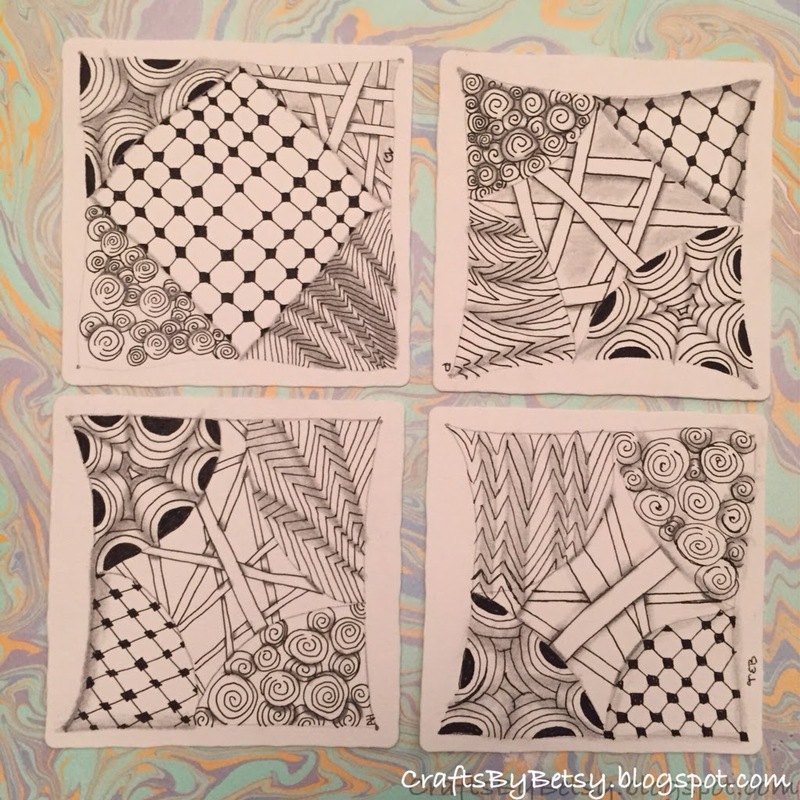 Last Sunday marked a milestone for me, my first Zentangle® class! 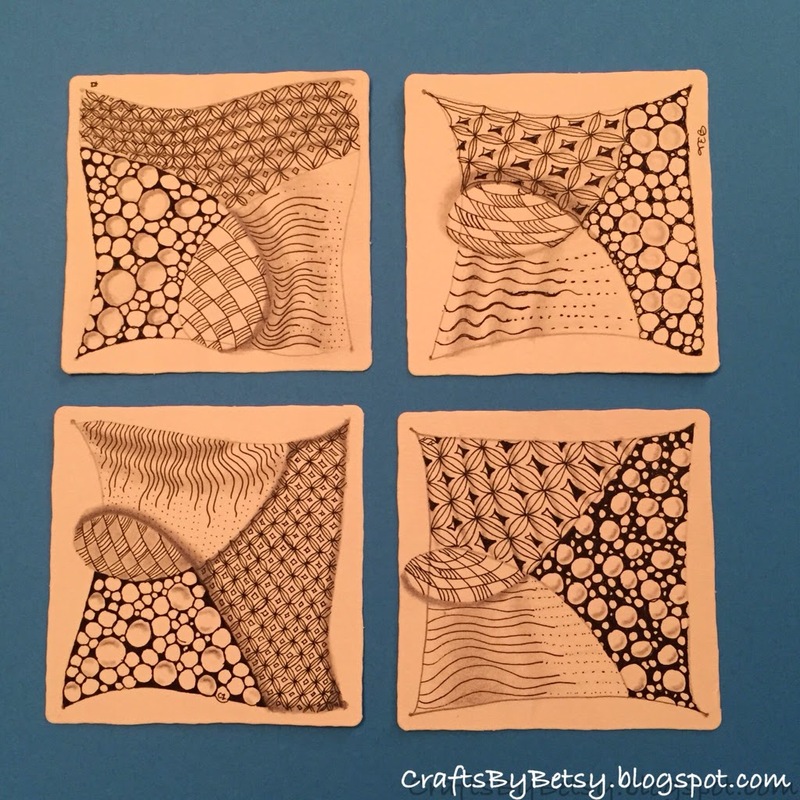 Here are the tiles drawn by my awesome students. Nice lines, orbs and shading huh? They did fantastic! Wow, congratulations on your first class! Isn't it interesting to see how each person interprets the same basic tangles. I also love how one of your students incorporated the Arukas-like connections into the Crescent Moon section. 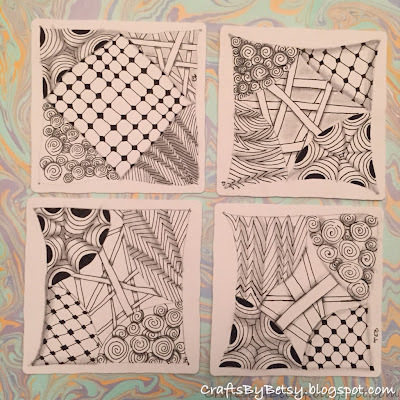 I see a Zentangle future for this person! So you are teaching....Well done! Isn't fun to experience that charge when the students put their work together in a final mosaic? Here's to many more classes!